Sir Isaac Newton. I almost feel as though I’m writing about an old friend. Gravitation, Optics, Force and Motion, Thermodynamics, calculus, statistics, binomial theorem ; any chapter in the eleventh and twelfth standard physics and math textbooks will devote a lot of space to him. Almost omnipresent. It wouldn’t be wrong to call him the father of classical physics as we know it. 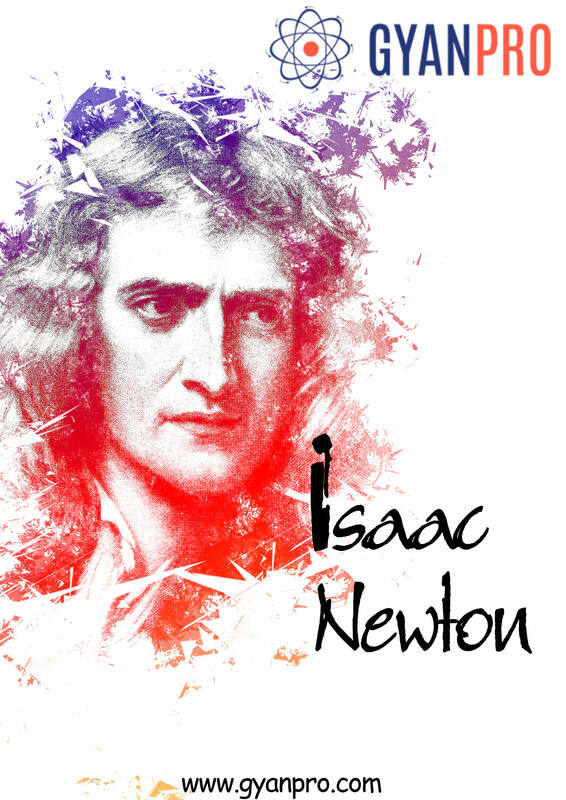 Isaac Newton was born on January 4 1643 in Lincolnshire. His family wanted him to continue in the family occupation of farming but Newton found it boring, instead building accurate sundials when not in school. He studied in Trinity College Cambridge where he studied about ancient philosophers like Aristotle but Newton also followed and researched about modern scientists like Kepler and Descartes. The college shut down for two years due to plague and Newton was forced to return home. This was a very productive period for him as he developed his notions of calculus and gravitation then but he closely guarded his knowledge. He returned to Cambridge university when plague died down and was elected as a fellow of Trinity. In 1687, he published his famous book, Principia. The book explained calculus, laws of motion and gravitation. Principia is considered by most scientists to be the most powerful scientific book ever written. However, he faced fierce opposition from Leibniz who accused him of plagiarism and claimed that he discovered calculus first. This led to a bitter feud between the two till Leibniz died. Its now accepted that both discovered Calculus independently. The apple inspired laws of Gravity were explained in Mathematical form as Newton predicted the orbits of planets to be an ellipse, a question that had confounded helio-centric scientists for ages. Newton followed it up with more editions Principia I & II, which explained calculus in greater detail. His next contribution was in the field of Optics as he showed that white light was made of many different colours and built the first reflecting telescope. He improved the quality of telescopic images by using mirrors instead of lenses. However, he believed in the particulate nature of light, something that was at odds with the accepted wave-like nature. Nowadays, light is accepted to have both particulate and wave nature depending on the phenomena studied. Newton was extremely secretive about his work and defended it vehemently often leading to life-long feuds with some of the other best scientists of his time including Robert Hooke, Leibniz and Flamsteed. His expertise however gave him worldwide fame and he was elected as a member of the English parliament and was also knighted. However, his contributions to the parliament were minimal. The only time he spoke up was to request the parliament usher to close the window. He also researched in alchemy for over 30 years and was one of the many to seek the Philosopher’s Stone. In fact, his discovery of gravitation probably would not be possible if he wasn’t researching ‘forces at a distance’ in alchemy. He also suffered from mercury poisoning due to this making him eccentric as he neared his death. Newton was also elected Master of Mint of England and he devised new methods of quality control for coins to make counterfeits extremely hard to produce.